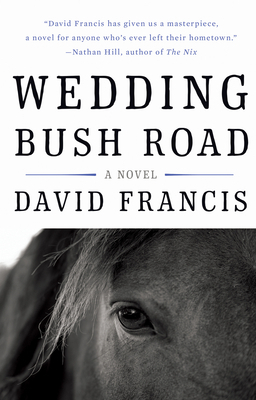 When he learns of his mother's ailing health, Daniel Rawson must leave Los Angeles and travel half a world away to the family's horse farm on Wedding Bush Road, one hundred miles outside of Melbourne. Estranged from his parents, Daniel is hesitant to revisit their history: long divorced, his mother still maintains the farm having put out her cheating, rakish husband, and even in these later years her anger burns brightly. Daniel arrives at the farm in the heat of his parents' conflict with Sharen, an alluring tenant and ex-lover of his father now perched on family land. Sharen and her unstable son Reggie complicate an already difficult family dynamic while Daniel has to tend to his mother's condition, his father's contentious behavior, and the swell of memory that strikes whenever he visits the farm. As Daniel is increasingly drawn to Sharen, the various tensions across the farm will spark events that cannot help but change them all. DAVID FRANCIS, based in Los Angeles where he works for the Norton Rose Fulbright law firm, spends part of each year back on his family's farm in Australia. He is the author of The Great Inland Sea, published to acclaim in seven countries, and Stray Dog Winter, Book of the Year in The Advocate, winner of the American Library Association Barbara Gittings Prize for Literature, and a LAMBDA Literary Award Finalist. He has taught creative writing at UCLA, Occidental College, and in the Masters of Professional Writing program at USC. His short fiction and articles have appeared in publications including Harvard Review, The Sydney Morning Herald, The Age, Southern California Review, Best Australian Stories, Australian Love Stories, and The Rattling Wall. He is Vice President of PEN Center USA.